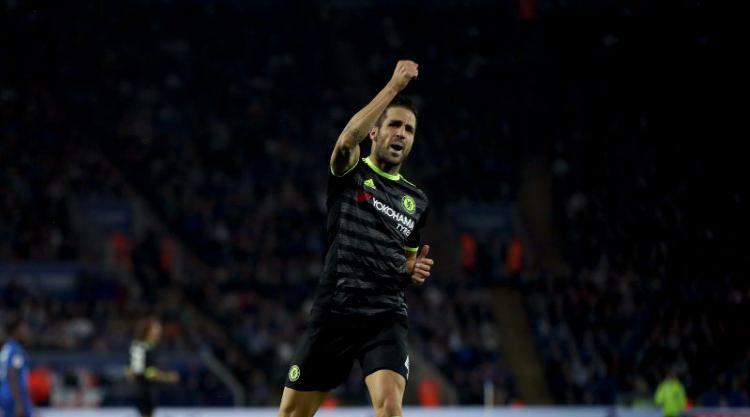 An Eden Hazard double inspired a brilliant Chelsea to the summit of the Premier League following an emphatic 5-0 victory over Everton on Saturday night. Marcos Alonso, Diego Costa and Pedro were also on the scoresheet in a crushing performance from Antonio Conte's side at Stamford Bridge. Following Manchester City's surprise draw against Middlesbrough, the Blues are now back on top of the table for the first time since they were crowned champions in 2015. Chelsea manager Antonio Conte named an unchanged line-up for the fifth successive league match as his side sought a fifth consecutive win in the league for the first time in nearly three years. Hazard has been an integral figure in Chelsea's recent emphatic run and the Belgium international had a hand in all of his side's five goals here. It started when Hazard, who Conte believes is back on the right path to becoming one of the world's best players after a lacklustre campaign last term, found himself in plenty of room on the left-hand side after good work from Costa. The forward then cut in on his right foot before bending the ball past a helpless Maarten Stekelenburg to land the game's opening blow after 18 minutes. It was Hazard's fourth goal in as many league matches, which marked a career first for the Belgian. The Chelsea fans had barely got their breath back when Alonso doubled the home side's advantage moments later. Officially two minutes separated the goals, but in fact Alonso's strike - his first for the club - came just 23 seconds after the game had re-started following Hazard's opener. Hazard stole possession on the halfway line before playing in Pedro on the right. The Spaniard's cutback fell to an unmarked Alonso who drilled the ball through Stekelenburg's legs. Suddenly a rampant Chelsea were two goals to the good with only 20 minutes gone. Everton, now with only one win in their last seven matches, had no answer and Victor Moses came within inches of making it three when his effort hit the post. On Friday, Conte insisted he had no regrets over his failed summer pursuit of Romelu Lukaku and following Costa's scoring streak this term, it is hard to blame him. The Brazil-born forward bagged his ninth goal in 11 matches, and Chelsea's third of the night, three minutes before the interval when Nemanja Matic flicked on Hazard's corner and Costa made no mistake from eight yards. The Spain international should have made it four on the stroke of half-time only to rifle his effort into the side netting when clean through on goal. It was a destructive opening 45 minutes from the home side and the second half continued in a similar vein. Ten minutes after the interval, Victor Moses found Hazard on the right-hand side. A neat backheel from Pedro followed before the Belgian burst into the area to double his tally for the night and extend Chelsea's advantage to four. A shell-shocked Everton may have thought it could not get any worse, but with 65 minutes gone the hosts notched up their fifth. Costa won the ball just inside the Everton half before laying the ball off to Hazard. His right-footed effort was fumbled by Stekelenburg, but Pedro was there to prod home from a matter of yards. Despite pressing for a sixth, that is how it remained. Chelsea's record from their last five games reads 16 goals scored and none conceded - a streak worthy of championship contenders.